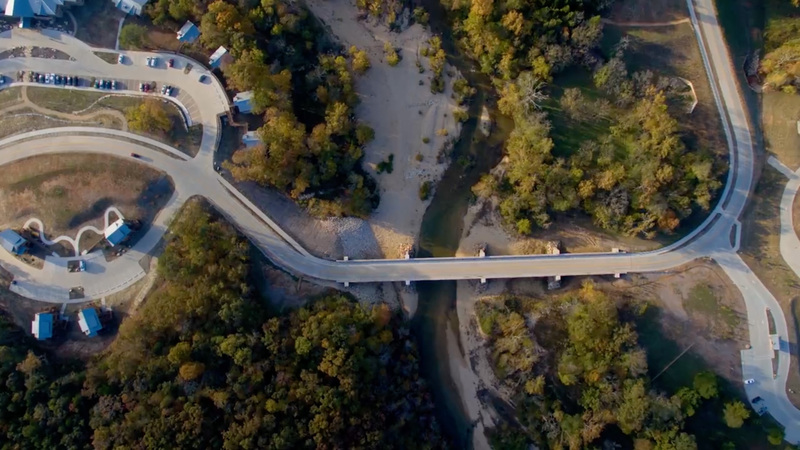 Clients across the country know Farnsworth Group for reliable architecture and engineering work, but the firm struggled to describe who they are and what makes them unique. TOKY worked with Farnsworth to pinpoint key differentiators and turn those attributes into compelling messaging, marketing materials, and a modern, mobile-friendly website. 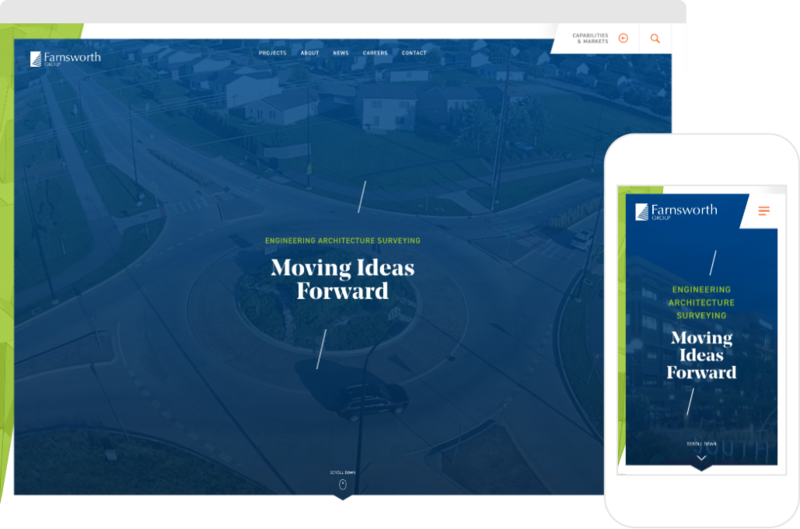 With an existing website that was outdated and difficult to navigate, Farnsworth needed an online presence that would bring the updated messaging to life. The redesigned Home Page carefully crafts the firm’s story, introducing the Farnsworth approach, team, and projects in a highly interactive way that is both easy to scan and entirely unique from the competition. With a portfolio of projects that deliver results but don’t always photograph well, Farnsworth needed a compelling way to present its work. To add visual interest and depth to case studies, TOKY integrated angles and colors from the brand identity and created opportunities to prominently feature short client testimonials. In the research phase, we learned just how important people are to Farnsworth’s work. Clients come back again and again because of the trusting relationships they build with the firm’s project managers, engineers, and architects. With this in mind, we integrated team members throughout the site, using photography concepted and shot by the TOKY team.